Ever wonder what happened to those prospects the Brewers have traded away to make a playoff run in recent years? Who did the Crew give up for Felipe Lopez again? Scott Linebrink? Are any of those guys doing so good that Brewer nation wants to vomit? Well let me answer those questions for you. Matt LaPorta - 1B/OF (for C.C. Sabathia, 2008) - The centerpiece of the C.C. Sabathia trade, LaPorta has bounced between Triple-A and the majors in the last season-plus but is now getting his chance as the everyday first baseman for Cleveland. So far in 2010 he's batting just .255 but in his last ten games the slugger has hit .371 with four homers and 11 driven in. Yea... he can hit. Michael Brantley - OF (for C.C. Sabathia, 2008) - Some would say that Brantley might end up being a better major league player than LaPorta. I am not one of them, I guess I am not in love with a player who has never had more than six home runs in a professional season. Anyhow, Brantley opened the season with the Tribe and struggled, then hit .315 for the Indian's Triple-A affiliate. He's back with Cleveland now, but his numbers are still poor. He's hit just .118 in 2010. Rob Bryson - P (for C.C. Sabathia, 2008) -Bryson has been good in A-ball for Cleveland this year, striking out 55 in only 31.1 innings with an ERA of 3.16. After a lost 2009, Bryson only pitched three innings, injuries are a concern however. He's currently on the Disabled List. Zach Jackson - SP/RP (for C.C. Sabathia, 2008) - One player that hasn't made any strides is the lefty Jackson. He struggled to stick in the majors with Milwaukee, Cleveland and now finds himself back with the organization that drafted him, Toronto. In 53.2 innings for the Jays Triple-A team Jackson has an ERA over five and more walks than strikeouts. Cole Gillespie - LF (for Felipe Lopez, 2009) - The better of the two prospects that the Crew sent to Arizona for Felipe Lopez, Gillespie has split time between Triple-A and the majors in 2010. In the minors he's hit .289 with 17 extra base hits and a very nice .417 OBP. That hasn't translated to the majors yet though, where he has posted just a .282 OBP and struck out 20 times against only four walks. He should see plenty of playing time down the stretch for the D'backs though. Roque Mercedes - SP/RP (for Felipe Lopez, 2009) - So far Mercedes has yet to carry his success with Brevard County to the next level. He's been pitching with Arizona's Double-A affiliate since being dealt and has posted a mediocre ERA of 4.73 in 32.1 innings this year. His command has been pretty good, striking out 32 against just 15 walks. He's only 24, so he'll get his chances but so far there is nothing to write home about. Hernan Iribarren - 2B (Claimed by Texas, 2010) - I'd like to see Iribarren make it in the big leagues, but at this point that looks like a long shot. He's not really a utility player, able to only play second base well and he is struggling at the dish in 2010 - Iribarren is only batting .243 for Texas' Triple-A team. He has shown signs of coming out of it though, hitting .289 in the month of July. Vinny Rottino - UTIL (for Claudio Vargas, 2009) - Some day Rottino might find his way onto a major league roster as a backup catcher. It's starting to look like he may end up as a coach sooner though. Rottino is now in the Florida Marlins organization, with the team's Triple-A affiliate. For the year he's hit .283 with a .366 OBP. Crash Davis anyone? 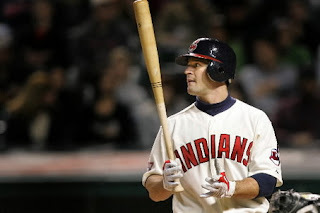 Darren Ford - OF (for Ray Durham, 2008) - The speedy outfielder looked poised to break out after a very good 2009, he hit .300 with 35 extra base hits and a .386 OBP but then he bumped into some legal troubles. Ford had earned his way onto the Giants 40-man roster but he's only hit .233 in Double-A and now baseball is the least of his concerns. Dana Eveland - SP/RP (for Johnny Estrada, Claudio Vargas, 2006) - Eveland has seen time with Arizona, Oakland, Toronto and now the Pittsburgh Pirates. He is still only 26 so will likely continue to get his chances in the bigs. He's pitched 54.1 innings in the majors this season and has an ERA of 6.79. Yea, Dana Eveland is still around. Joe Thatcher - RP (for Scott Linebrink, 2007) - Thatcher seems to have established himself as a major league reliever. He's spent time in the Majors in each of the last four seasons. In 2010 he's seen time in 26 majors league games, with a 2.04 ERA. A solid left-handed specialist, worth a few months of Scott Linebrink? William Inman - SP (for Scott Linebrink, 2007) - The higher rated of the prospects sent to San Diego for Linebrink, Inman's climb has been slower at the higher levels. He doesn't throw hard but had been producing in Triple-A this year prior to a June injury, with a 3.61 ERA through his first 11 starts. He's a fly ball pitcher who would not have enjoyed pitching in Miller Park. Steve Garrison - P (for Scott Linebrink, 2007) - The third player sent to the Padres for Scott Linebrink (seriously, three pitchers for Scott Linebrink?) was Garrison. He's pitching in Triple-A now, though he has failed to impress. Garrison has given up 16 runs in 21.2 innings. Jorge De La Rosa - SP (for Tony Graffanino, 2006) - Let's be honest, when the Brewers sent JDLR to Kansas City he had to go, he was out of options and the team had a need at second base. That said, he seems to have figured it out. Last year with the Rockies he won 16 games while striking out 193 batters in 185 innings. De la Rosa is fresh off a stint on the disabled list but the Rox are counting on him down the stretch. 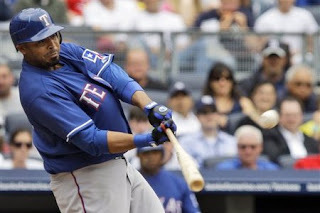 Nelson Cruz - RF (with Carlos Lee, for Kevin Mench and Francisco Cordero, 2006) - It took him a few years, but Cruz has established himself as one of the better power hitters in the game. He hit 33 home runs a year ago and has only been slowed down by injuries to this point. There was no way the Brewers could keep both Cruz and Corey Hart and to this point Hart has had the better career. 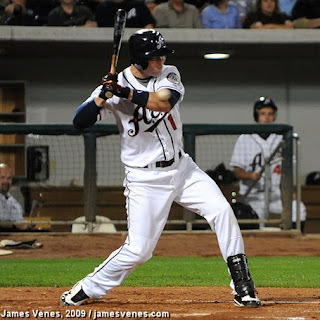 Adam Heether - 3B/UTIL (Claimed by Oakland, 2010) - The Brewers let Heether go for nothing earlier this season and he hasn't done much since moving on to a new organization. Heether is batting .253 for Sacramento with only one home run. He does have an impressive OBP of .392 though, with 21 walks in 31 games.